Based on highly efficient switchmode technologies. 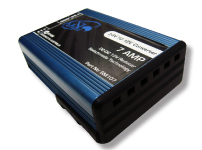 Our range of Reducers supply a safe and reliable 12V or 24V supply from Higher Voltage inputs. 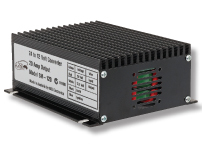 SM107 Series - Sleek & Compact 24V to 12V reducers capable of supplying up to 7A. 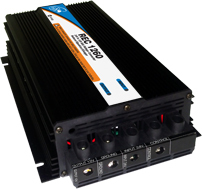 SM-110,SM-120,SM-130 Series - Rugged, Robust and Reliable. 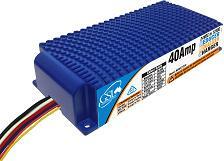 The old workhorse of our line providing 24V to 12V reducing at currents of 10A, 20A and 30A respectively. REC25HV - *NEW* The newest addition to our line up. 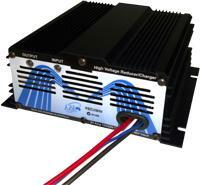 Featuring the ability to reduce down from as high as 80VDC to either 12V or 24V at 25A. This highly versatile unit is also able to be switched being a fixed voltage reducer to a battery charger via the front switch.